Are you ready for the letter R for Stephanie Ryan? Visit her blog and website to see all the additional products featuring her wonderful artwork. Stephanie sent us in some answers to her questions to help you get to know her a little better. My favorite memory about school – Recess of course! I love quilting because I get to Remake my favorite blocks in new patterns and colors every time. What if everyday was a holiday? Is Rest Day a holiday? I could use that everyday. Is there an object, tool or anything that you cannot work without? I always find myself looking for my Ruler. Why can’t I ever find it? Somewhere I want to go…… Rome! Someone I know………. Linda Ryan, my mother-in-law that gave me my first quilting sewing machine that belonged to her mother Alice, an amazing quilter. Since I am guest posting for Stephanie, I had a little fun playing with Stephanie’s fabric collections and the ABC’s. The digital image doesn’t really capture the sheer beauty in this collection. Here are some projects Stephanie made using Modern Roses. Modern Roses collection is in stores now. Fleurologie is the newest line arrving in stores April 2014. How about a wall hanging featuring the panel? Back to the blog hop. To download instructions for R, here. Stephanie wanted to ask you a question. When choosing fabric for a quilt, what colors are your favorite to work with? Leave a comment with your answer for a chance to win a FQB of Fleurologie. Winners Announced on each of the Designer Blogs participating. orange, yellows and lime green are my favorite colors! Oh Happy Day! It was a really tough weekend not having any new letters to play with! I love red, blue, and creams/tans. I just like bright colors. The colors I’m drawn to depend upon the season. Your Fleurologie is so gorgeous! Thanks for the chance to win. What a beautiful fabric line. This may just break my fabric fast! I love yellow. Yellow with blue. Yellow with green. Yellow with grey. Yellow with pink. Well, you get the idea. I love turquoise and orange. I love to use my favorite color – blue, all shades of blue! Your new fabric is breathtaking! I am drawn to aquas, yellows and reds. Thanks for the chance. I love all colors ! I love bright, clear colors! Lately I’ve used a lot of aqua and lime green. Beautiful fabric….so spring like! I pick my colors based on what I’m planning to make… who gets it, that kind of thing. Sometimes I just spot a fabric that attracts me and I plan my project and other fabrics around that first fabric. Thanks for the great giveaway! I love working with blues and pinks. I choose fabric colors depending on the reason for the quilt. If for a holiday I use the colors associated with that holiday. If for a gift, I use colors that I know that person prefers. Lately I have been using grey-the new black. I just love your Fleurologie line. I love navy, and a lot of the brighter colors, also I use orange a lot! Love the fabrics. I tend to lean toward the Reproductions Civil War fabrics but sometimes I have sew with something bright and lots of color. I love working with bright colors but have been intentionally trying to expand my taste. Right now I love aqua and teals. I also like the modern quilts with gray which I am surprised because I never used a lot of gray. I love pink but lately I’ve been working a lot with teal. I seem to work with more subtle colors. I am a big neutral fan and have more choices in that vain than any other. I guess it depends on who the quilt is for as to my fabric selection. I love clear, bright, saturated colors–all of them! I do find though, that green is my constant. Although I can’t call it exactly my favorite color, I use it an awful lot. Love the colors in the new fabric line very much. Right now I love grays, rose and aquas, but really love them all. Your new line is beautiful. Thanks for the giveaway. Almost always have green somewhere in my quilts. Very calming color. One color is hard to pick- I think I lean toward red and pinks. Fleurologie reminds me Spring and all it’s color is on the way. What a beautiful line! I love that painting at the top of the page too, just gorgeous. Thank you for a fun blog hop. I’ve been creating with purples, grays, oranges and greens lately. I love Color! What I gravitate to is usually how I am feeling at the time. My color palette seems to change from time to time. But, I have always liked blues, greens and teals. Beautiful new fabric line – the colors are so cheerful! Thanks for the chance to win! Lovely fabric! When I choose fabric, it often depends on whom I’m making the quilt for. If I’m thinking of myself, I love bright bold colors…and variety…like a rainbow. Thanks for a chance to win. Pink, brown, red, and neutrals are my faves. 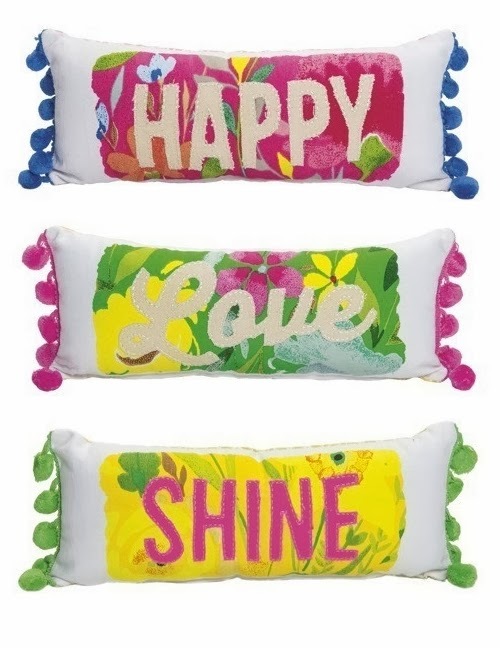 Love the new line, so cheery! I have fell in love with red and aquas. My stash mainly is blues and greens. I love working with any color. It just depends who and what the quilt is for. Blues, greens, pinks and white. Today anyway! I don’t have specific “go to” colors I use for making a quilt. I let the quilt guide the color selection. It is also influenced by where and to whom the quilt is going, and how fast I’m going to get it done. Sometimes, a quilt gets a jumpstart, only to sit ruminating for awhile until I’m ready to go back to it. When that happens, I may have different fabric to add to the previous mix! Oh man! You made my Monday morning! I am so excited about fleurologie!!! You’ll always see blue in something I make! I love the bottom right blue flowers! Can’t wait to get my hands on this fabric! I tend to use aquas, turquoise, pinks, greens, and buttery yellows. I love Fleurologie!! So pretty! I hope I win one! Thanks for the opportunity! Love these colors and fabrics! My favorite colors change with the seasons—I love working with reproduction and red fabrics in the fall and winter, and bright, fun, happy colors in the spring and summer. Thanks for the chance to win! I tend to gravitate towards greens. In addition to quilting, I love gardening and watching birds & butterflies & all pieces of Mother Nature’s finest works and green usually provides the backdrop for that. Obviously it’s also the color of money which is another good reason to love the color of GREEN! Blue, any shade or hue, is my favorite color. I tend to fall in love with muted colors in the red, green, purple and cream range. Anything looks good with Blue! I can not resist blue and brows!! I love working with blues, greens and pinks. Any color that is found in a garden! As I look around me at the folded fabric that is within view, I realize I must be drawn to pink, especially florals. Perhaps it’s a way to cope with long Minnesota winters. I’ve only made one quilt and it was a more traditional blue, red, tan. However, I love them all! I absolutely love Fleurologie! I love primitives, but I cannot resist these bright colors of Fleurology, they are gorgeous. I can see a Mother’s Day quilt made out of these colors. They are as beautiful as her gorgeous prints that she creates. I cannot wait to see these in person. Thanks for the fabulous giveaway. I’ve been making so many quilts for family that I don’t usually pick fabrics for me but use thier favorite colors. I’m usually drawn to greens (my favorite color) but when something just stands out I’m right there getting some of it too. I’ve wanted to try some Big print fabrics in a quilt too. I love reds! I love so many colours and shades, but reds always sing to me. Lately I’ve been choosing lots of jewel tones for my quilts. Your new line is so lovely and soft. Thanks for the chance to win. I love blues and purples best. Your new fabric line is gorgeous, thanks for giving the chance to win. My favorite colors are usually saturated. I am trying my best to begin a low volume quilt. It is very out of my comfort zone, but I love the look of them. Thanks for the giveaway!! The color favorites keep changing. Right now I am in love with the combination of green, blue and acqua. Thanks! Blue and gray and green. Those are the colours that I have used in the past few quilts. Many thanks for the chance to win some fabric. Right now my favorite is aqua/light blue and white on whites. I love seafoam green too. I love these fabrics!! It is so cold today and I just had a breath of spring!! Thanks for showing off some gorgeous fabric. At the moment most of my quilts have aqua in them, especially with red and pink, although I am planning an aqua and orange too soon. I love bright colors, and I love fleurologie! Thanks for the chance! I love reds, yellows, and greens together but really, I love them all. Thanks for the chance to win some very pretty fabric. I tend to pick bright happy colors. Bright blues, reds, greens and yellows. Color, color and more color! Collections that incorporate more than one color family are my favorites, as they allow so much more flexibility with the design of the quilt. Thanks for offering such a special giveaway. I love aqua blue, pinks and red. Thanks for the chance to win. Fleurologie is gorgeous!!! I love red, gray, and lately I can’t get enough of oranges. Thanks for the chance to win! I don’t have favorite colors but all my colors for quilts need to be BRIGHT! I also love flowered fabrics so Fleurologie is perfect!!!! Lately I seem to love all greens but especially yellow greens. Maybe it’s the spring in my soul. I plan to make a baby quilt for a new baby girl so the Fleurologie fabric line would be perfect. Stephanie’s water colors are so appealing and happy! Blues and yellows have always been my best colors. My quilts recently have all featured the color red. The colors I’m drawn to depend upon the season.Your new fabric is breathtaking! I love all colors! Bright and happy ones are my favorite. I find myself leaning towards turquoises most of the time! Thanks for the chance! I usually say “blue” when people ask my favorite color, but my last two quilts have been bright colors without much blue. I’m looking forward to the gardening season even though there is at least three feet of snow in our yard right now. Your fabric would be just the thing to tide me over until the real free stuff grows. Blues, greens and pinks! Thanks! Those colors always cheer me up! You new line is so BEE-utifil! I love all shades of green, so there is usually some green in all my quilts. Thanks for the chance to win that gorgeous bundle. Right now I’m enjoying turquoise. Fingers crossed for your giveaway! Blue has always been a favorite. Lovely fabrics in the giveaway. I like jewel tones, especially blue! Seeing all the gorgeous flowers and colors of Fleurologie made me hope even harder that spring is just around the corner. I’m very fond of the bright yellow daffodils when they poke their heads up. Always blue. Almost any blue. From pale to fully saturated. Blue. I find that I am drawn to blues first, all shades but usually the lighter blues and teals. The letters have been fun, and I’m loving the new fabric line! I don’t have a favorite color combination that I like to work with. My quilts never look the same from quilt to quilt. I will say I love bright, clean colors though. I love working with bright fun colors. Pinks and blues always catch my eye, specifically fuchsia and turquoise. I like bright colors, purples and pinks mostly. Your new line is so perfectly girly – it’s beautiful! Thanks for the give away! The brighter the better! Lime green my be my favorite! Red seems to always make its way into my quilts. I’d love to win your gorgeous fabric to force me to step out of my comfort zone! Right now I am working a peach, grey and mint quilt for my son and his soon-to-be wife. White! I love low volume quilts and using white as a contrast against bright colours. Wow! I love the alphabet quilt made with Modern Roses…the colors are perfect….I want to copy it 🙂 ! I love working red, turquoise, and gray! Any color Red! Love you new fabric line! Thank you for the chance to win also! My favorite colors to work with are blues, yellow and earthy tones. I’m a primitive color girl but recently have been drawn to the brighter side of color. Love the bright greens, red and aquas. Thanks for the opportunity to win your fabric giveaway. No favorite color… soft muted color and bright and vibrant- they all work for me so long as they are on fabric! I am definitely putting your new line on my “must get” list! Judging from my scraps, my favorite colors seem to be yellow, red and orange. Love your vibrant new line coming out! I seem to gravitate to bright colors. I like the brightness of your new line! Thanks for the great giveaway! I am always drawn to turquoise and yellow greens. The beautiful brights in Fleurologie would be EXACTLY the colors I am drawn to. Thanks for the giving us a chance to win that lively group. Can’t wait to see Fleurology in person, it looks beautiful. Red, blue and green are the way I roll. Fleurologie is exactly the colors and style of what I like in my quilts. Love spring colors such as pinks, yellows and blue-greens. your fabrics fit the bill. I have a lot of earth tones in my stash but now am drawn to bright quilts. I love all fabric and colors but it seems that red is the color I gravitate to most. I love your fabric line. I can’t really pick a favorite color – but I seem to be drawn to brights – they make me smile the most. Thanks so much for the give away and I love your art work. My favorite colors are usually blues, but when it comes to quilting, I find myself drawn to more neutral fabrics – Modern Roses is gorgeoussss! But I’m always open to trying new colors depending on my mood and the quilt! Thank you for the giveaway!! I love to work with the bright colors but the more neutral colors seem to go better in my house and my daughters houses too so I tend to sew with them more often. It seems I always go to the pink and green colors, but pink usually wins out. I love all colours…but somehow green ALWAYS manages to find it’s way into my quilts!! Thanks SEW much for a chance to win your very generous give away! This might be a bit dull but I love grey! I feel that so many color combinations look beautiful with grey. Thanks. Depends….on what season it is, what I am making the quilt for etc…but, I love bright colors best….against white or white with black polka dots? I’ve been making a lot of baby quilts so pinks and brown and blues and brown have been my latest choices. I always have some red in my quilts. Yellows appeal to me too. I usually love bright, happy colors with some gray thrown in. I also like pastels. Lately I’ve loved the blues with tans and accents of pink. Pinks and greens. If I had any Fleurologie I would never want to cut it up, it’s just so pretty! Love all your springy colors Stephanie. I’m drawn to pink. It can be soft and pale or hot. Hope things improve for you – you’ve had a rough winter. Your artwork is wonderful so hang in there. Depends on the project and the recipient!! I have rolling favorites! My aqua/red obsession is moving over in favor of orange, but that could change next week! Thank you for the giveaway! I love red’s with the blue hue but I don’t make many red quilts, don’t know why. I like florals, so blues, greens and pinks get used often. Teal is my favorite color & has been for so long. I love it mixed with lime & purple. I find myself choosing shades of blue, but I love pastels too. I love working with pinks, greens, and blues! What a PRETTY line of fabric. Such talent. Thanks for the giveaway! Blue sneaks in to most of my quilts. It is my favorite! I love blues, greens, and pinks. Love the ABC quilt! I love green but a quilt comes from whatever fabric inspires me and this is the most inspirational fabric I have seen yet! It’s beautiful!! Thanks for the chance to win. I would say blues, most likely aqua. I live in a house of all boys so I am usually trying to add something to please them. I love blue and yellow. This fabric collection is stunning! Turquoise, Red & yellow! LOVE Steph’s fabric lines for MODA – I’ve been following her art for a long while, it translates so well into fabric! I love scrappy quilts with lots of colors. I like having teal in my quilts. This fabric is beautiful. just breathtaking. I can’t wait to see it in stores. Your fabric is beautiful!!! turquoise and yellow is my favorite. I like the darker fabrics but lately I have been picking the lighter colors such as the lighter reds, turquoise blues. Most times the fabrics I choose for quilts are done in the earth tones. brown and greens. Such beautiful fabric. Love the cute pillow. I love to use reds, pinks and greens in my quilts. Usually I look at fabrics and find one that really inspires me and I take it from there!! Thanks for the giveaway – you’re fabric is beautiful!! I like every color. It depends on how they’re put together. But robin’s egg blue is my favorite. So soft and sweet. I love most colours, but red seems to crepe in every time . I tend to go with the seasons and spring and summer are my favorites! Love your fabrics! What is not to like about any color. Colors, to me, depend on my mood for the day or the time of year. However, I have really never met a color I did not care for and could find inspiration from for a project. Thank you for to opportunity to win some of you beautiful fabric! I love to work with pinks and blues! I love Stephanie’s collections, they are all so feminine! So tough to choose colors! Right now the combos I am drawn to don’t even work in our house! LOL I love apple green, red, aqua, pink and yellow. I am drawn to vibrant bright colors. So ,of course, I love your new line! Oh my goodness–such happy and spring-y fabrics. My favorite color is blue, so I am always looking to have a little bit (or a lot!) of it in my quilts. If the quilt is for me I go for Blues, yellows and greens. I seem to lean toward country colors…..reds, blues, greens, golds, and browns. I see others quilts with lighter and brighter colors and they really inspire me so I am now turning direction towards the happier colors and have found that I just adore 30’s colors and prints now. I’m primarily a Civil War repro kind of gal — so I’m into cheddars and poison greens mostly. But I do like turquoise — which is also my birthstone! I’m a sucker for blue. I especially am drawn to more traditional quilts with blues and browns but love a pop of bright cheery blue (with yellow) too. Favorite colors….. hum….. lately I’ve been drawn to red and aqua. I love other colors as well, anything happy and cheerful! I have loved blue fabrics and reproduction, but I really love your beautiful flowery designs! They sure say spring is in the air! Thank you for sharing and the chance to win something really gorgeous! I am always drawn to a quilt that uses the turquoise/aqua family. I find that I like gray in quilts too, rather to my surprise since I have never been fond of gray. It does set off other colors well. I love primitive colors best! Love brights. Love the colors in Fleurology! Used to be more traditional, but the older I get the more I like brights. Started about the time my grandchildren started coming…hmmm…. I love using lots of different cream colored prints and then place fabrics in deeper tones to pop on top of them… these days I’m leaning towards pinks and reds. I think that’s probably because I’m still suffering from a bit of Valentines overload! I have always loved brights, so this fleurologie line is fantastic. I also like the pale low volume fabrics, so I’ll have to check out both lines. I tend toward greens/pinks and blue/yellow. Blue and yellow are summer and sunshine colors and, of course, pinks and greens are early spring to me. I also like, reds, blacks, purples. LOL I like color. i love soft colours like corals or light teals and navy blues. I love all colors – cannot pick a favorite!! Purple and gray are my favorite colors. Thanks for the chance at the giveaway. I love the look of primitive homespun fabrics, more muted naturals and red is definitely my favorite color. Thank you for the giveaway. Color depends on my mood and the quilt, but I’m going through a teal and soft orange phase right now. I love the watercolor flowers. They combine with the geometric patters so nicely. Yellow seems to pop into most of my quilts in some shade. I do watercolor paintings and love the floral you did. My favorite color is orange so I tend to work with that a lot. Blues, greens, and purples are my favorite colors to work with on a quilt. I love greens, purples to work with. I really like your alphabet quilt. Well, my favorite color is pink but I certainly cannot put that into every quilt I make! I truly love working with blues and my fabric stash proves it. Thank you for the opportunity to win some beautiful fabric. I find that I work with greys a lot. Matching them with yellows, pinks, turquoise and other fun colors. Red or Pink with a little Green always. I really don’t have favorite colors for quilts…each quilt, depending on who/what it is for, leads me to the colors for that particular quilt. I’ve never made the same quilt twice. I almost always have greens and browns in most of the quilts though. Blue is my favorite, but I’m trying to step out of my comfort zone by choosing brighter/bolder colors!! Usually anything soft and feminine. Yours are all lovely. Thank you for a chance to win. I like working with corals and teals. I love all pastels. I love color, and usually look for colors that I haven’t used much before, but I find myself amassing grays to use as, not the central color, but as a neutral. I love dark & dirty colors but my daughters like the lighter ones and since I sew for them often I collect a bit of everything. Not one color stands out as a “go to” color when I begin a project. The choice is made depending on whether it’s a gift or if it is a “stay at home” project”. Currently, I’m choosing bright colors with red, yellow and green because of gray winter skies. Love the watercolor look of your designs, Stephanie. Thank you for participating in the Moda blog hop and for a chance to win some of the new fabric, fleurologie. I use to like darker colors. But since i have a grand daughter i’ve gone all girlie with pinks and lilacs. Found out that i really like the brighter colors. Right now it’s pinks, greens, yellows and blues but I think that’s because I want Spring to get here so I’m trying to compensate for the dull boring winter. I love the bright colors of your fabric line! Greys or neutral with accents of blues in green in all shades! Thanks for the opportunity! I love blue and green but I am learning to love other colors. I just finishe an orange and beige quilt. Odd for me. Mostly aqua/blue, red and pink … girl colors you can say. But sometimes I’m trying to leave my comfort zone and work with darker colors. I love blue, but the quilts I’ve made recently have had many different colors and I’ve enjoyed stepping out of my comfort zone. Fleurologie is beautiful! I especially like the large Cloud print. These days I love teal and blue but the colors in your watercolors are fabulous too. I gravitate toward colors found in nature, greens blues, browns. I don’t have a favourite colour, but I do tend to use lots of Civil War fabrics. However, with so many lovely bright coloured collections available now, I’m thinking of making something with pink and green. I usually go for the brights, but I am always drawn to purple/lavendar hues, turquoise and pinks that fall more in the magenta range! Love, love, love the fleurology fabric! I’m always drawn to fabrics with purple in them (just ask my friends what my favorite color is)! Your new fabric is beautiful! Thanks for the giveaway. I am always drawn to blues, especially really light, or aquas…but I have yet to pull them exclusively for a quilt…but it is in my near future 😉 Fleurologie is gorgeous! Thanks for a chance to win! It seems like I am all over the place when I pick out fabrics. I tend to have to use reds or browns when I sew…but it always depends on my mood…my quilt project stash reflects my “out of box” status. Right now I’m wanting bright and happy spring colours like pinks, yellows, greens and purples. Blues and creams are my favourite colours when picking colours for a quilt. It seems most of my quilts are bright colors such as aqua, pinks, yellow, lime greens! I love working with either patriotic color combinations or soft, romantic shades similar to Modern Roses. I lean towards bright colors even though our house is in all neutrals. Thanks for the chance. Just about every quilt I make has some if not a lot of red in it. Right now I am making a red & teal Dresden quilt. WOW! Your work is fantastic! Can’t wait for the fabric collection! I do love a little pop of yellow or gold in quilts, just enough to add a sparkle. Thanks so much for the chance to win some of your lovely fabric line. and more determined to find happiness and I have :0). I wish you continued success and peace in your heart. I love using shades of teal with purples. I usually choose reds, but love all colors. Your fabric is beautiful. Love RED! It’s in my quilts, my house, my clothes. Rainbow colors–especially set against a dark background. Reds, creams, navy, grey blues. But then again, jewel tones are what I go for first! I like barn reds, navy blues, deep golds, hunter greens and blacks but if the quilt is for someone else I choose what they would like. I enjoy Black/red quilts or warm civil war type of fabrics. However, looking at your new line ws rather entising. Spirng!!!! Pinks, greens and yellows. Need some Spring colors. Blue is my favorite but I have several others so not everything will be blue. My favorite colors to work with when making a quilt are the colors of flowers. I like a things that are more on the bright side. Usually green is there somewhere. Right now I am liking gray, but I like all colors….thanks for the chance to win! I enjoy all the colors, but I notice that I use blue a lot. Depends on the project. Love using all sorts of different colors. Pink, I have a very hard time picking fabric for boys quilts! I am in LOVE with your new line Fleurologie! Beautiful fabric!!! If I win I am sure my mom would help me use that fabric up. She loves bright happy fabrics. Must be where I get it from! I love color and how and colors interact with one another. That is why I enjoy making quilts. Love the colorful floral fabrics! The colors I work with depend on where/who the quilt is going to. Personally I like clear, bright colors. I use all colors, right now I am using muted primary colors with polka dots for a baby quilt. Love the new fabric line. Thanks for the giveaway. bright, bold, like in your new line. But if you ask me next week it my be blues and greens. Lately, I have stepped away from the use of primitive colors…burgendy, dark greens, navy and cream and I have been making quilts with more vibrant brighter colours with white backgrounds. Love the new fabric line! Thanks for the chance! I think my fabric personality is split…I like super bright colors, homey/rustic colors, and romantic roses/paisleys… Oh, who am I kidding, I love it all. I like most colours but it is dependant on what type of quilt and who it is for. The Fleurologie colours are lovely and fresh and very feminine. Thank you for the giveaway. I prefer to work with Jewel colours, deep purples & greens, however there are very few colour combinations I would not consider using. I quite fancy a go with yellow & grey. From the beginning of my headlong dive into quilting, my favorite fabrics have been reproductions especially blues, reds and neutrals. I have always been drawn to vintage quilts and their traditional patterns but after the passing of my father, I noticed that I was using only the lighter “cheery” fabrics (pastels, florals and A. Grace) in my stash. Therapy perhaps? I work with all sorts of colors, I honestly have not made the same color combinations as most of my quilts are gifts! I do love purples, yellows, and blues! I seem to navigate towards the reds, second being jewel tones. But I like all colors that speak to me at that moment! Such an adorable line! I can’t wait to see more projects using it. Usually I go for greys and blues when making quilts. I love berry colours at the moment: raspberry pink, plum, cherry red, damson purple and so on. I love Blue…… so many shades of Blue. I choose a Blue and then other colors that blend with it. Thank you for being in this shop hop. I almost always start with a yellow for the background. I’m trying to break myself of this habit, but old habits die hard, and I’m not making much progress. After that I tend toward jewel tones. Love those rich, deep colors. I’m loving aqua and red for quilts right now. I’m sure all the spring fabric lines will change my mind. Thanks for the chance to win. All are such pretty fabrics. I like the letters with the fabrics. Very cool. I tend to use more blue and purple fabrics mostly. My color preferences differ with each quilt. I like the darker colors when I am making a reproduction quilt. Right now I am looking at brighter, more saturated color for a quilt with a spring feel! I love greens and being able to mix them in with other colors! Green can be a great neutral “go to” color. Depends on the recipient and the season. Navy is my favorite color but it actually doesn’t make it’s way into a lot of quilts. Your designs are beautiful! My quilts always seem to have at least a touch of blue, although I’m finishing one I call citrus colors, pale orange, yellows, pinks. Its turning out very pretty. Thanks. My favourite colours to work with are black, white, grey and burgundy. My second choice is brown, rust and beige. Depends on my mood. Thanks for the chance to win. Blues and greens with a little pink or yellow thrown in. Thanks for the chance. My favorite colors is blue and purple. When I make a quilt, it is usually for a loved one. So the color would depend on who and what it’s for. I love pink, pink, pink…..so pretty when it is light and so intense when it is dark. All the other pinks in between just add dimension!!! Love you newest fabric,,,,right up my alley!!! LOL!! Lately, I have been looking for pinks and yellows. I need a bright and cheery quilt. I love bright colors for quilts – yellows, blues, greens, pinks, purples, teals, orange. Such pretty pillows! I love Pink! The old classic block patterns are where I go for most of my quilts and their colors tend to be muted with vibrant touches. My favorite color is green – I like to have a little of it in each quilt I make. Lately, lime green is showing up more. Thanks. I love all fabrics in all colors. Every Project has other colors. My favorite color is red, but I like making quilts with all kinds of colors. I love the floral painting at the very top of this blog post. Thanks for sharing. Beautiful stuff!!! Love it all! I love a nice bright pink, like a peony pink. Bright and bold. The popper the better. I love aqua with any other color! I know its kinda trendy but it just adds a beautiful pop of color and plays nice with so many other colors! I gravitate toward the civil war reproductions, but your florals are absolutely beautiful. I have to say it depends on who I am making it for. I do go for the more neutral tones for myself. The longer I quilt, the more fabrics I like. Always at the top of my list are brights and batiks. I love greens and blues! My favorite color is purple, but I use a lot of blues in my quilting. I’m partial to reds but I also like Americana red, white and blue. I stretched and made my last quilt with blackish grey and cream. I like fresh bright colours but I also like soft pretty colours. I love jewel colours together! You know, I don’t have a favorite color or style, although I’ve notice of late that I am leaning more towards more traditional patterns. And I tend to have some shade of green in most of my work. My comfort colors are the colors of autumn. They remind me of coming home from school with stew or soup on the stove and warmth of the fireplace welcoming me in. My favourite colour for quilts is blue- all the different shades of blue yjay can be found in Nature or not. Having said that, my latest quilt was in brown, tans. greens and reds to fit a particular spot. I love blues and pinks and reds, in all shades! shades of purple but when i make quilts for others I love their color choices as I make it. Just making the quilt brings me joy! I love navy blue! thank you! I always gravitate toward blues as my go-to color. I do incorporate other colors and not every quilt as blue. Yet blue is my favorite color. I like to use browns, tans, red and green. But I love Fleurologie! Thank you! Loving reds right now…like Picasso, I go through phases. Thanks for the opportunity to win. I enjoy making a quilt with yellow and pink. I just love your Fleurologie fabric line. I can’t wait for it to come out and purchase some. My colors tend to come from what looks good together from a heap or a pile. I always want to buy golds, reds and oranges (for a long time it was blues, greens and purples. I’m trying to work more neutrals in there. I love green but lately leaning towards red. I loves blues and greens, but after a long winter I love all the beautiful flower colors! Fleurologie is gorgeous! Thank you for the chance to win! I love to work with blues, pinks, greens and mauves. Purple is my favorite color so that’s what I use when making something for myself. When I’m making something for someone else I try to use their favorite color(s). Thanks for the chance to win some of your gorgeous fabric! Red was always my first choice if I was making a quilt for myself. But lately I’ve been using a lot of pink. Thanks for the chance to win. I often pick pinks and magentas with some black or greens. I love your new fabric line….I see the pinks! Would love to win. I would have said I didn’t have a favourite but I have three different lots of aqua binding made up, so I guess that is telling me something! I love working with brights and civil war reproductions, but not usually together. I like pinks best, but make quilts out of most any colors. Love your fleurology line; super springy!! Loving light aqua right now. So pretty and fresh! Thanks for the chance to win. I tend to work with bright colors. I like orange, yellow, bright colors! Thanks for a chance to win. My email is qltdiva1@fuse.net, should I be lucky enough to win! Love your floral fabric!!! Your are so right, it will be worth the wait, you posted Spring today, what a treat! Thank you for that. I always gravitate towards some shade of blue. I like to mix it with greens and white. Fleurologie is beautiful – just the shot of spring color that I need right now. Many thanks! I like working with greens. I’m getting more into blues and aquas than ever before though. I prefer colors somewhere between brights and pastels. All shades of blue. My sewing room is piled high with a shelf of many blue fabrics. Lately the brighter hues of the melons and aquas and yellows are drawing me in. They are such cheerful colors during this grey Michigan winter. Gorgeous fabrics!!! Love them! & love the pillow!!! My favorite color to sew with is Blue. I love green, almost all shades of green, and I find that many of my quilts contain green. My favorite color is red but I’ve found that I am drawn to a lot of fabric lines that are nicely coordinated, even though it might not have been a color or colors that I like by itself. I love all shades of pink and red. I love pastels in the spring, but brights in the summer! Love earth tones in fall, and Christmas colors in winter! I just love them all! I have been following you for awhile now and gravitate towards the spring colors of the flowers, tulip pink and red, green and yellow. I’m always happy to look at your sketches and its been downright dreary lately with the weather and all. Aqua is my favorite, but I can ‘play’ with any color! Would love to win! Thanks for hosting! It depends on the project I am doing. I find that I have a bit of everything in my stash, because every quilt pattern tells me what colors it wants me to use – whether it be darks, lights, brights, mono, patels, scrappy….etc. Likewise, I find that the colors tell me what kind of pattern they want to be stitched into. I love all bright “true” colors! I also love your water color prints! My color choice depends on what kind of quilt I am making and who I am making it for. Thanks for the chance to win. I try to pick fabrics based on who I’m making a quilt or quilted gift for… But blues, purples, teals are my own personal favorite. Thanks for sharing in the hop… I love the Garden hanging!!! Love Grey, Aqua and White! Thanks for the chance to win! Green seems to appear in most of my quilts. I love varying values of blue, yellow and greens for my quilts but do throw in accents of other colors. Red, red, red! I am such a red fanatic and it is such an integral part of my life that there just has to be red in everything! I have children in the military and also love the patriotic colors and stars. This line is so beautiful! I think of all the lines I’ve seen on the blog hop so far, this is the one I’d most like to win. I like brighter colors in quilts. My favorite colors are blue and teal. Thank you for the chance to win. Lately i really like working with the bright, happy colors! Thanks for the chance to win. Love to work with purples and greens, especially chartreuse. Sheesh….it changes so much because I see the potential in all colors. 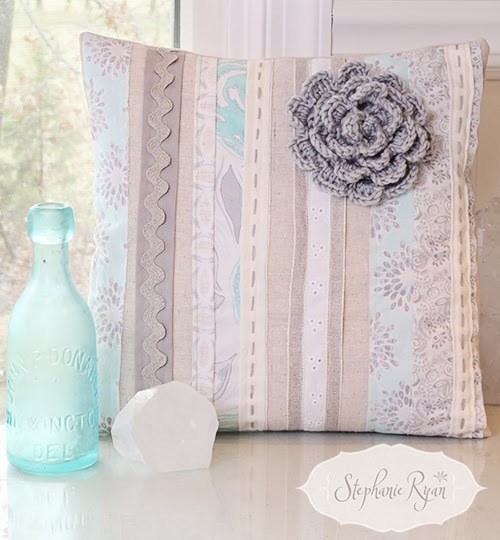 Lately I like blues but I also was attracted to the neutral pillow with the crocheted flower accent. And the colors of Fleurology made me smile and think ahead to late spring/early summer, so I liked that as well. I love using blue-greens and plums, and can rarely resist throwing in some black. Yellow is my favorite color and I am trying a yellow, grey and white quilt right now. The colors that are most beautiful to me though are the deeper rich tones of the primitive fabrics. Love greens and yellows, this time of year I particularly love spring colors. Love your new soft fabric! I love bright colors but try to pick my colors based on what the person I am quilting for likes and what it is for. Your new fabric line is gorgeous!!! I find myself going to the deeper primitive colors, until I see happy fabrics like yours and I make a quick turn and allow myself to be drawn up in them. I make sure that both work in my home. Because they both bring out a certain mood in me. My favorite color to work with when quilting changes depending on the pattern, the season or maybe even the fabrics available at the time. I’m ready to work with some pretty spring colors after the winter we’ve had. Still in love with aqua. I am into the softer colors right now — and surprise for me,the aqua and grey Modern Roses. Doing the Make a Wish Fat Quarter shop BOM with it. 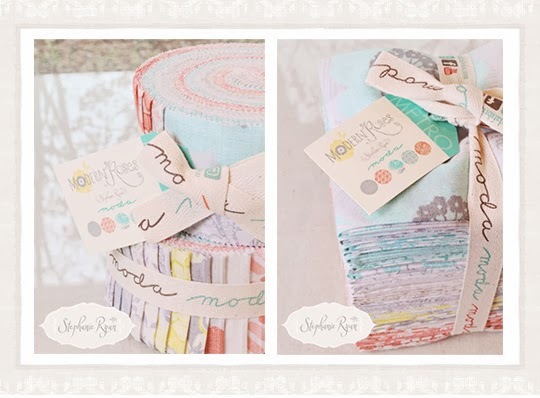 Would love to win this beautiful fabric bundle. I love so many different colors. I usually pick my colors depending on who or what season the quilt is for. I love your artwork. Beautiful. Thanks for the great giveaway. i tend to go with jewel tones, but lately I’ve been branching out to more ‘low volume’ that match better with my home! I like Purple and Green, solid or florals. Blue is my favorite color to work with, there are so many different shades of blue & it goes well with so many other colors! I enjoy yellows and blues. To me, they are the perfect combination. I love using black and white and throwing a little color in. I actually like a lot of colors: primitive reds, olives, purples and the beautiful flowers in your current line remind me of the garden I wish I could grow. I put yellow or gold in everything, although is is not my favorite color, it makes the others pop. Thanks for a lovely chance! I love pinks and purples! Love, love, love the new collection! Can’t wait until April! I am usually drawn to earth tones but in fabric I just go nuts & want it all! Love this fabric!! I love happy colors! Red, pink, white, green and even some touches of orange lately! The colors I work with most often in my quilts are blues! I don’t have a “signature” color or look–I see so many quilters who do, and wonder how it feels to have such a coherent vision. There is usually some red or blue in my quilts, which doesn’t make me too unusual. Wow! I love your fabrics. So pretty! I love red in quilts. I love soft pastels, pinks, mint greens and pale blues. Stephanie your flower fabrics are SO SO beautiful. I would be thrilled to hear I won a bundle, before they are even in the stores! Favorite colors for quilts: right now I’m working on a Quilt of Valor, so its all red, white & blue, but the next project is a quilt for my daughter in her color choices: aqua/teal, coral and grey. I have had a wonderful time shopping for the fabrics and I may have bought too much, so there is probably another quilt in there for me. I love working with happy and bright colors. Love the new frantic line, thanks for sharing!! Fleurologie is really pretty. I love the colors you chose. My quilts tend to have a lot of blue, and others have purples. Those are my favorites, but I make lots of different styles and colors, because it’s fun. blues and white or cream. The fabrics you showed in this blog make me feel excited that spring and summer will be here soon as it has been very cold in Ohio. Personally, I love working with the colors aqua and purple. My favorite colors to quilt with right now are pink, red orange, hot pink, yellow and green. Red, white and black are my favorite colors. I’m working on using softer pale shades. Her flowers have me yearning for spring! My favorite color is green but I like red, also. Wow, what brilliant fabric, I love the pinks!! I love the looks of the darker primitive colors but it is sew much more to actually work with the brighter colors such as reds and corals. I guess it mostly depend on what and who I’m making one for. Lately I’ve been doing quilts my grandkids so I’m using their favorite colors. I chose whatever fabric is calling to me at the time. I tend to lean towards the bright colors. The colors in your fabric are beautiful. Thanks for the chance to win. I’m all over the board these days, but for COLOR, it’s red and orange … together. over and over. LOVE that! I love blues and purples, sometimes with green and yellow. I love the solids and florals. My quilts all seem to have pink in them. I like bright happy colors. When making fabric choices for a quilt, I find myself looking first at various shades of green, but that is just a starting point. I like to use many colors in all their possible shades. I really like the watercolor feel of your fabrics. Little girl colors… for my little girls! I like purples and greens. And I absolutely LOVE that GARDEN piece. 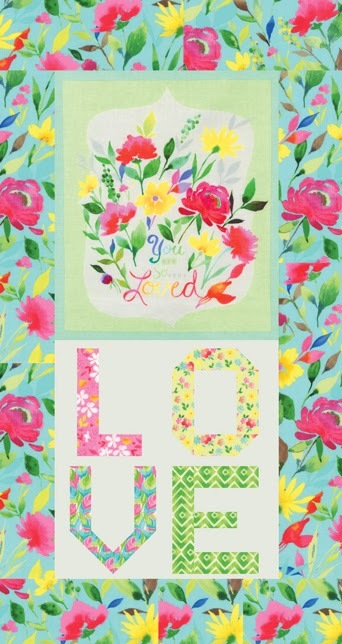 Loving the Letters blog hop! I’m loving corals with blues or greens. I have been into the Civil War reproductions for a while but have been wanting to try brighter colors and larger prints. I tend to favor greens and yellows. Thanks for the giveaway. I like working with civil war reproductions the most, but love pastel quilts, also. I find myself wandering to the reds with alarming frequency! My newest neutral favorite is gray, a very light shade of gray. Then splash in orange, pink, green, yellow!! I love your new fabric Fleurologie! Just my style. I love to work with red, white, and blue. Any form of these…pale pink to red, cream, tan, to white, and all shades of blue. It all depends on who I’m making the quilt for. For “littles” the brighter the better. For someone who might use it in their bedroom, neutrals all the way. For my daughter, black & white. I don’t have a favorite. I try to match the quilt to the person. I like dark colors like burgundy, navy, hunter, browns and blacks. But, I also enjoy using other colors sometimes as a change. I love bright fun modern colors. Bright pink, orange, royal blue, purple, yellow and gray. I’m a bright color kind of person. Love rainbow quilts and stripes. I love blues and greens. These fabrics are lovely! I work with winter colors–red, blues are the colors I have mostly. I love green and purple floral prints. Thanks for all the lovely eye candy on your blog, and for the chance to win this awesome fabric! I don’t really start with certain colors, it all depends on who the quilt is for. When I make one for myself, I tend to start with red, black, and white. I love that combination. I tend to go for bright crazy colors! This is a gorgeous collection! Can’t wait to pick it up! I love your new fabrics. The watercolor paintings that you paint are the exact colors I love. They are soft and feminine. I just moved into a new home and plan on creating a quilt for my guest bedroom with your new fabrics. I can’t wait till they are available. Thank you for a chance to win. I love all colors and all quilts! Every quilt has a story and I love that! I am loving Bella Solids Home Town Sky and Night Sky – seems I am into the sky these days! Stephanie’s art and fabric are all beautiful and I am grateful for the chance to win! I love navy and orange. I love blues, greens and reds. I love the aqua, emerald, ruby but I also love the colors in the mixture in a spring bundle of flowers. I love the colors that resonate happy, spontaneous, and carefree. I love your beautiful florals in any colour. I am drawn more to the brighter colours, but also like pastels. My favourite colour has always been green, but I find very little of it in my fabric stash. I really never look for a certain color to begin a quilt-I let the color and fabric choose me when I walk into a shop. Sometimes it just slaps me up the side of my head and says-“Buy me”. Somehow most of my quilts have ended up having green somewhere. Love pink and blue and green and yellow and red and…..I love colors, LOTS of color! For a quilt, I like to change the primary colors – but always put in at least touches of black, white, or/and grey. If I could find more yellows then that would be my favorite to use as I do like to look at it and the way it seems to balance most other colors. Thank you for the chance! I love purple, but blues always appeal to me also. Loving the new modern patterns and fabrics, too! Thanks for the giveaway! Green, in all its beautiful shades. Green, nature’s neutral. But I love most of the Moda fabrics, and they have a great hand. One of the things I love about quilting and working with fabrics is I can bring out any side of myself or another for whom I’m making a quilt through the use of different colors or styles. Each quilt has it’s own personality and the chosen colors or tones help reflect that. Thanks for the giveaway. I think it depends on the mood of the quilt. I have been working with orange and yellow a lot. I love purple and green tends to go with it. But blue and purple are probably my favorites. Gorgeous fabric! I love traditional “dirty” shades of red, blue and tan or if I’m in the mood for something more modern I like candy pink, lime and sky blue. I loving the current trend of greys and taupes too. lately the heavy reds and rusts and darker colors and in the spring I prefer light airy colors! the fabric with tell how it wants to be sewed into design and purpose. Lately my favs have been the basics and then throwing in pops of brightness like pink, yellow, orange, but only one. Love the way they pop. Currently enamored with high contrasting, saturated colours – navy, yellow, pink, green. I totally change with every quilt – each pattern I start seems to call for a different color/story. I love your fabric collection. Very beautiful! Blue is my favorite–all shades and tones! I’m always drawn to the color green. I don’t have a favourite colour. My first two quilts had a lot of green in them, but the next was purple: too purple. If I were making it now I would add very small amounts of lime green and yellow. There are no colours I’m adverse to; even khaki has it’s place. Love the colours and the watercolour-look to the new range. I hope so much that it will be available in Australia, but if not I would love a link to wherever it’ll be available, please. Winning would be so special….thank you for the opportunity. That is a very hard question, but i think the pink shades are my favorite to work qith. It really depends on my mood but brights are a favorite paired with low volumes. Blue is always my first “go-to” color, but I love them all! My favorite colors are red & blue but when I make something for my granddaughter, she likes anything with orange in it. thanks for the giveaway. It depends on the quilt and who the quilt is for. But my favorite color is green, and I really like brighter colors. Thanks for a chance. Any fun bright colors that make me happy! I like more modern quilting so I gravitate to bright colors with large designs. I’m a fan of purples. Thanks! I love colorful ones! The ones that are bright like yellow, lime green, aqua. These colors just make me feel happy and excited! My favorite color is red and most of my quilts seems to have some form of red in them. Red…always has to have red. Color…my preference varies with my mood. With the seasons. Whom the project I’m working on is for. But putting that all aside, if you were to just look at my stash you would think most of my quilts include blues and pinks because I’m busting at the seams on those colors! I love jewel tones, especially reds and purples. Love the collection. My favorite colors to work with are blues, greens, and yellows. Add a little pink and red, too. My favorite colors are those often found in nature! I love greens, rich red roses, earthy browns! I usually like to work with blues the most but after our terrible winter, I keep looking at greens. I’m enjoying really bright colours lately – bright girl colours as it were. Also purple and gray. My favourite colours are aqua and red. Love the beautiful fabrics! Thanks for the chance to win. Wow that fabric is stunning!!! My favorite colors to sew with are bright happy colors. My favorite to live with are neutrals accented in happy colors, but my one true favorite color is aqua. my choice of colors is always on the brighter side.right now I am working on blues and greens of varying shades. I love to use bright colors in my quilts. right now my favorite colors are brights-yellow, orange, lime green, aqua, pink, etc. Maybe that’s because its dreary and cold up here in Seattle! Vivid and saturated jewel tones are my fave! I love bright colors, especially orange, pink, and red! Love your new line and would love to win it!Very inspiring! I’m in love with this fabric! I like yellow. A lot! Some brighter greens, add in a bit of brighter blues and aquas, and it’s perfect! My favorite color is orange but I have yet to use it in a quilt. My color choices vary depending on the recipient – butter yellow, pale green, lots of navy and deep, almost burgundy reds with a bit of cream mixed in. I love to work with the color gray. I love the special softness it gives to quilts. Thank you for the giveaway. I LOVE all shades of blues! I like aqua with orange or red, grey and yellow, dark red and tan. Bright pink is about the only colour I don’t use. I like most colors (except for purple), but I have been enjoying grays and greens lately. Orange is my favorite color, but my quilts tend go toward greens and blues. I love working with aqua and red–bright and bold colors. My favorite color is green..the brighter the better! I love every single color. All of my quilts end up being scrap quilts even if I choose to use only two colors. Variety is the spice of life! It depends on who I am making the quilt for. If it’s for me, it needs to have some blue and white. Also, I love florals! I always seem to end up putting blue somewhere in my quilts. It seems to calm things down. Your new floral line is lovely. I enjoy the brighter Spring colors, exactly like her colors in this new collection, which I am waiting on with bated breath!! It’s simply amazing!!!! My favorite color is blue in all shades. Depending on what project I am working on, I like Civil War, reproductions and brights. Just depends on my mood. Thank for the opportunity to win your fabric. Oh, how I would LOVE to win this fat quarter bundle! I cannot wait for Fleurologie to hit the shelves! I love shades of pink and blue the most. I like to use bold, saturated colors that really pop! Thanks for the chance to win! My all time favorite combo is purple and green, but I also enjoy mixing things up with a totally scrappy look. I like bright colours and florals. I usually like to work with a layer cake or a jelly roll so I have the whole matching collection. I love working with blues and purples. Blues are my favorite colors, especially combined with greens and purples. Fleurologie looks fabulous! Blue is my favorite color, however, I like to work with all colors when making a quilt. Since not all of my projects are for me, I have a wide variety of fabrics in my stash. I usually pick country blues and reds. Most of my quilts have been made as gifts. So the color choices are specific to each recipient rather than based on what I, myself, would like. If I were choosing for myself though, every quilt would probably contain red or black. For me it depends on the season, but generally I like soft colors. I love pink, but I enjoy working with florals. Love your fabric. Blues, greens are favorite colors. Lately I’m liking aqua and red. Shades of green are my favorite but I find myself working with pinks a lot. I really like your fleurologie. Thanks for the chance to win some! Green is my favorite color and I try to use it in my projects. Next I love to use shades of pink all the way to rose colored. I absolutely love the vibrancy of Fleurologie, stunning. I love your artwork and this is a perfect compliment to it. My go to color right now is aqua. It is in 90% of my quilts these days. There are so many beautiful aquas right now!! 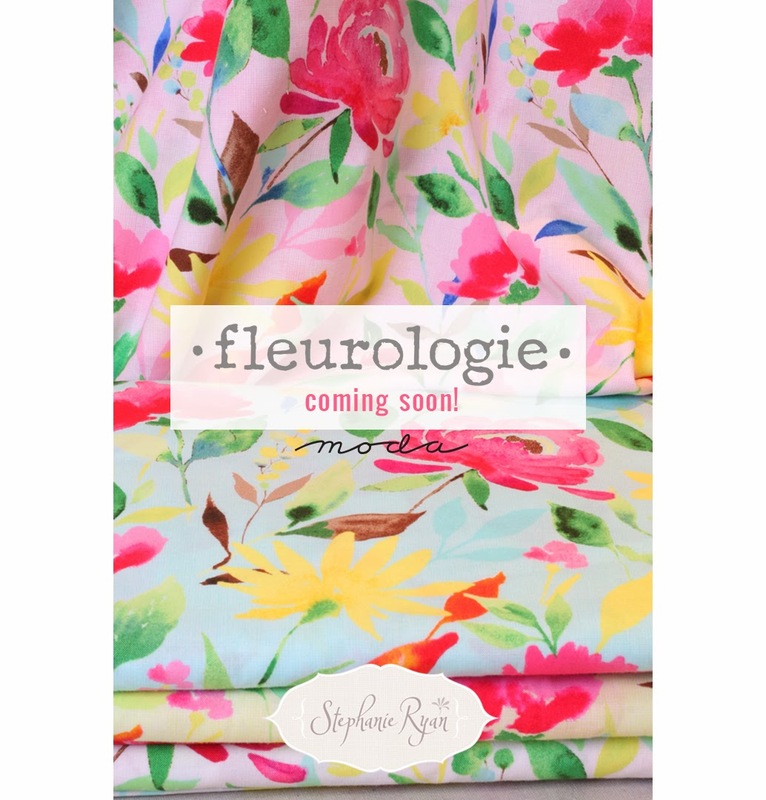 I love fleurologie and can’t wait to get my hands on those yummy spring colors! Thanks for the chance to win! I don’t really have a favorite color. Each quilt calls for it’s own colors, hot or cool. Fleurologie would make a very happy summer beach blanket. I love green and purple. Thanks for the chance to win. I enjoy using deeper reds, yellows and blues with a bit of tan thrown in! Thanks for the chance to win! It seems to change every day, but my staples for the past few months have been teal and gray. love the combo together and all the other colors that can be added to those two! I don’t have any real favourites, I love them all and use whatever the quilt needs. Fleurologie is so beautiful. My favorite color right now is aqua. My usual colors were “traditional”, like Kansas Troubles, until lately. Now I like BRIGHT colors! I have always loved primitives. Your fabrics are all beautiful! I love all the variations of red. Thanks for the chance to win! Love the new Fleurologie! I love pink and green, always have loved that combination. This line of fabric is just what I love!